gotten it today... really good. Indeed. For anyone interested the pounland near me had 2 different discs: HK's Paradise: Once Upon a Kitty and 3 other exciting NEW stories. HK's Paradise: A Puzzling Day and 4 other exciting new stories. Both of which seemed to be educational titles. Which store is it in liverpool, i live here haha..
Hi can i ask which one it was, i am in Liverpool? sadly it's not all poundlands :( I picked up one book for my son when we were visiting family in Liverpool, but wasn't sure exactly which other ones he already had, so checked when we came back home to the north east, and made a list. Called at 3 different poundlands (Durham, Middlesbrough and Sunderland) and none of them had the books in stock :( Great deal if you can find them though, well worth a quid to keep the kids occupied in the hols. Hope they have Horrid Henry and the nits....................already have my nit comb from another deal. PS3 Silicon Controller Case - Just £1 Instore @ Poundland! People want to put a case round everything these days. "Protects controller from dust"??? Come on - are there really people out there losing controllers to dust? Also who's ever needed better grip on a Sony controller? Its not like the Wiimote being thrown around every second. Just a way to get you to part with your cash (even f it is just a pound) for an item that has no purpose. IMO anyway. work with ps2 controllers too? This has been posted before. Those products are surge protectors. They protect the appliance against the unlikely event of a power surge. They will not protect you in the event of the appliance malfunctioning. Where can you buy a 4 gang extention lead for £5 that "will just cut out if anything goes wrong" ?:? Oh, look we've got Mario, the Health &amp; Safety expert posting here. :-D Since you seem to suggest you fully understand the risks associated with this item, could you 'facilitate' sharing that knowledge with us by posting a copy of your complete risk assessment of this item please? They must be having a Big Sale ................I was in there the other day and everything in the shop was a quid . About4 varieties,I love them!! Sooo refreshing! (the older dark blue,the Sport ,and an orange one for ladies. One possibility is that these are periodically 2 for 1 in the major supermarkets. I certainly have bought two large batches from Tesco at 2 for 1 in the last few months - working out at just over 70p each. someone c'mon.....its cheap isn't it? I guess you don't drink much nescafe, or you are quite drawn to the awful after taste of "British" Nescafe? I have to drink it - it's all we get at work. :-( By the look of it, this is supposed to be for the Brazilian market. I suspect it is their equivalent of the bottom of the coffee market, and it certainly isn't the best instant I have drunk. But just because it has foreign writing on it, doesn't make it bad. It's much better than the usual nonsense they serve up to the British consumer, and at roughly half the price. Voted hot. Yup, it's usually something like Yemeni Nescafe and Russian Acquafresh on sale in Poundland. You get the impression that a lot of the groceries have been on worldwide tours. 2 Litres of Robinson's orange or apple &amp; blackcurrant diluting juice for £1 is also a steal. Hi-Tech Shower Radio - Only £1 ! DAB for a quid! Come on get real:? The Charlatans Live at Last (Live from Brixton Academy) DVD - Only £1 Instore at Poundland!! In case you missed this! I thought this was great for £1............... obviously not then! Must find 1.. thanks 4 posting. DVD : "Back to the Secret Garden" - Only £1 !!! Bargain for £1 - I used to love this film! Bargain for £1 :thumbsup: I paid £5 for this a couple of years ago and my kids all love it. my fav adam sandler film ever! Bargain at £1! haha my fav scene "I GOT **** ON ME"
Haha, that bit was funny. I also got this film from Poundland last week. agreed - it's a good film. despite what looks like the worst casting ever. voted hot, these balls will be fine for average player, but not for spinners. Cant believe she's still doing the act. I seen her in 1989 and she was about 50 then. Her "service" was amazing back then. Like others have said, unless you're buying these just to throw about or play beer pong, there's not much point in buying them if you actually play table tennis. True dat. There was an episode of Property Ladder repeated the other month where Sarah Beeny was trying to persuade the developers to replace the brass fittings they chose for their "upmarket" renovation with something more "contemporary". They didn't and the estate agents who went around to value the finished work all remarked how the brass fittings let the end result down. Mind you, if you need one for an outhouse or shed, can't grumble about the price. I hope my Poundland has these in now. Before they just has Phillips travel Modem cables and not network ones. Thanks, Voted hot. If wireless not avaible, were going to plug it into..? The ASDL modem....! When im on travel all hotels have wireless. Even B&amp;B have wireless. Didn't vote, but thanks for the deal. This will never make the front page but it's a good find. Yep. Plus do you know, in GB, there are more convertibles sold than the whole of Europe combined?!?! TRUE!!!! Point taken but the smelly stuff they use evaporates into the air and if you have asthma then it will certainly add to the breathing problem. I live in Cumbria - wettest place in Britain. Rain or shine I still open my windows to air my house. Yes they are the Williams F1 one's as per pic! Yep best ever for sure! Good find!!! though there's no store nearby. and where are they ?? Wilkinsons have a good range of adaptors. I bought a Euro to UK one there last year. Voted HOT! If you take one of these and a small multiblock - it makes it far easier to charge phones/batteries/computers etc while on holiday. Had them in Glasgow city centre yesterday. I didn't buy any as I think I still have about 6 boxes of the other kind from the last time !!! A 'heads up', Poundlnad still selling these! Femidoms are on the second shelf to the right. tried them, wouldnt fit , too small. pity, as great price. Rimmel & Max Factor Cosmetics in Poundland! Of course cosmetics go out of date. On the product packagingthere should be a little symbol of a opened tub (say a tub of body cream) and on it, it will say how long you have to use it from opening. A Mascara for example is usually around 6 months. However, like the other person said, these could have been hanging around in a warehouse for quite some time. Just because they haven't been opened doesn't mean they are "fresh" they could have been produced a year or more ago. I personally don't know how this affects the products as they are not opened but they still would be "old". Do these things really go out of date? How old could they be?? Just wondering! I saw these in my local pondland. All sealed and in good condition. Great bargain. I went in to another shop and had the exact same product at a higher price. Worth a look. if it was sealed it would be fine. good deal. 100% true , the xbox1 i got from argos for 49.99 is the best thing i ever got , i got it softmodded and put a 160gb HD in it and use it to listen to music and view films. Im off to poundland to see if theres any good games to be had. I think the original xbox is still a class system. And it's more powerful then 1 of the so called next gen systems. The system is now available from about £40 now. It's a pity so few originals actualy work on the 360. No.. it wasn't in production back then. Shed load more of these in the store at the Galleries so picked up a few more to replace the ones we used on honeymoon. These come in and out of stock all the time. Good buy though for sure. Walkers crisps - 21 packs for £1 - Less than 5p a bag - POUNDLAND! Does anybody know if there is any poundland in portsmouth.Never saw any so far...pls let me know!! Thanks for your replies- have been too scared in the past to buy branded items there - but will definately buy the cleaning products they have- good amount will be saved! pack of 4 and 2 mg of niquitin gum at poundland. Mens Leather Belt, range of sizes and designs, just £1 at Poundland! I picked up one of these a while back. It lasted about 20 minutes until the one, single, rivet securing the flap of leather that the buckle is attached to, broke off. yep, think I'll buckle up and go grab a few. I am soooo going to be king petty cash boy with this deal - first I saved money on the weekly ice cream run and now I'm saving money on the tea rounds! Thanks. Added " £1 in-store @ PoundLand" to title. Welcome to HUKD! Thanks for the feedback guys... I've found that by shaking the can thoroughly just before you use it has a huge effect on it's adhesive properties (shake it and it will stick no problem, don't shake it and it barely sticks at all). Therefore I still reckon it's well worth the money as a spray mount for my art work which is actually what I bought it for. :) Or perhaps I just got a good batch? Quality on these cans is VERY hit and miss. I bought a couple and one of the cans wouldn't even stick two envelopes together. I'm guessing there's a good reason that it's a £1 ;) The other wasn't too bad but to be honest, you're better off spending an extra few pounds on a really good adhesive that actually works. I threw these away and ended up buying some 3M stuff, the difference was like night and day. Why has this been expired? - they're still available in poundland as regular stock. does someone fancy getting me one and sending it to me not got a poundland close. Pah, I can beat you all with how much you paid for your DVD+R's, last year I managed to pickup 100 (4x25 Spindles) for £4 (99p a spindle) from Superdrug. Awesome! That makes them 4p a disk hehe. Oh yeh, forgot to say they were Samsung Pleomax's. Last time I bought disks from Poundland, they were scratched. No really bad scratches, but lots of little ones. Dunno what these are like. HANSON - UNDERNEATH CD ALBUM - QUID AT POUNDLAND! Cant believe one of my favorite bands and one of my favorite albums are in poundland...got it while its there peeps you wont be disappointed! If you don't like hanson, don't buy it, it's not bad value... 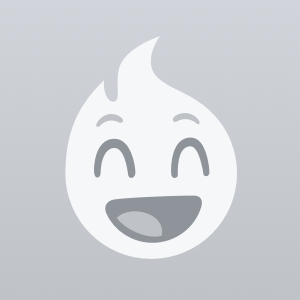 I hate them, but gotta say, for a quid... :D Hot from me! 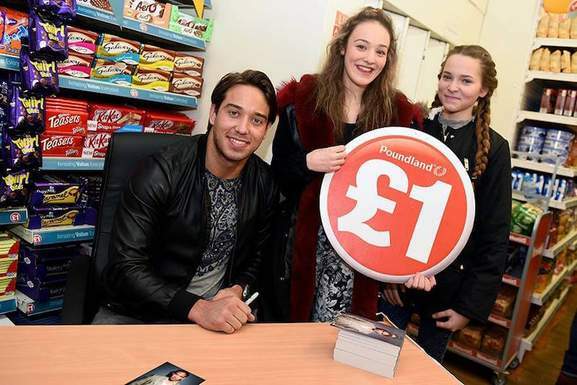 :) whats a bargain in Poundland....anything under a pound....surely if its a pound...thats normal price? Blimey, how early do the shops open near you? good offer, well done for putting this up. Went to my local store this morning (Peterborough) and they had around 20 of these on the shelf, they are the excellent Logic3 variety which retail at £7.99 !! It just seems a bit strange that everything at Poundland is only a quid .Do you think it's a scam ? Also have these in the stevenage store . great, but think i'll stick with the original sony ones. Voted hot. How much for 3 of them? Poundland is a fixture on high streets and out of town shopping centres all over the UK. With hundreds of stores in pretty much every major town, Poundland helps millions of British shoppers to save money every week. So, if you need to save money or just want to stock up on brand name sweets or other items, head down to your local Poundland today. Poundland has come a long way in a very short amount of time. The company was founded in 1990, and offered something unique in the British market – a single price across a wide variety of product areas. Never before had a British retailer offered a standard £1 price point for its whole range, and customers loved it. Starting in the Midlands, Poundland expanded during the 90s, becoming a household name in the process. By sourcing products in the Far East, the firm managed to keep costs low, enabling them to maintain thousands of £1 offers despite inflation. There have been some times when the Poundland share price took a battering, but the company weathered the financial crisis well, and continues to consolidate its position as the country's leading low-cost retailer. Nowadays, you’ll find almost 900 Poundland outlets across the country and they have an online shop. Nearly 30 years after the first store opened, they still offer £1 offers that undercut supermarkets, so whether you need to buy party food for kids or some chocolate treats for yourself, there are few better places to go. Poundland operates a national network of shops, and there should be one near you. To find your closest location and the opening hours of each store, simply log onto www.poundland.co.uk and use the Store finder tool. Be aware that there are also some marquee stores with even larger product ranges. So, if you need to have the whole catalogue there to choose from, head to Poundland’s largest stores in London and Edinburgh. You can’t shop online as yet, but the site does allow customers to browse through the entire Poundland range, and to find out about the latest reductions. Food& Drink – Featuring sweets, soft drinks, ready meals, cereals, soups, pasta, tinned food, fish, gravy, sauces, jams, pickles, biscuits, chocolate, cakes and diet foods. Health & Beauty – Features makeup, haircare products, skincare products, toiletries, toothpaste, floss, toothbrushes, baby items, family planning and first aid kits. Home & Pet – Includes pet food and toys, cleaning products, kitchen items from Jane Asher, candles, room fragrances, towels, mats, fuel, lighting, electrical products, kitchen roll, toilet tissues and bathroom cleaners. Gardening – Includes compost, seeds, plants, tools, gloves, solar lights, ornaments, bird feed, pesticides, fungicides, pots and bulbs. Leisure & Entertainment – Features DIY items in conjunction with Tommy Walsh, accessories for phones and computers, items for cars and bikes, reading glasses, CDs, DVDs, headphones, camping items, picnic equipment and outdoor games. Toys – Includes board games, figurines, soft toys, Disney and Star Wars branded products, costumes and educational items. Stationery & Crafts – Includes paper, notebooks, pads, pens, pencils, paints, crayons, office items, highlighters, flip charts, folders, binders, scissors, card, glue, knitting and sewing essentials and envelopes. Party & Celebrations – Includes a huge selection of party items for kids, hen parties and birthdays. There’s also a Great Ideas section, which is an excellent source of advice about how to buy children’s gifts, what you’ll need to stage a party, outdoor combinations and much more. 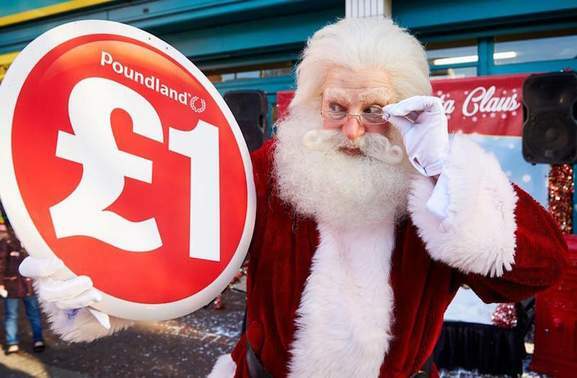 Poundland offers huge savings relative to major supermarkets all year-round. However, what many customers don’t realise is that you can save even more money by taking advantage of the Poundland deals at HotUKDeals. Along with bookmarking the Poundland HotUKDeals listings, it also makes sense to sign up for their e-mail newsletter right at their start page, which is another great source of updates about Poundland. Don’t miss their Promotions and Offers section too, where this week’s biggest reductions are announced. As you might expect from a store that sells so many party items, Poundland also schedules major seasonal sales. As Christmas approaches, be sure to check the HotUKDeals Poundland listings, as there aren’t many better places to find decorations, party food and other festive essentials. When you head to your nearest Poundland, you can use the following payment methods: cash, all major debit and credit cards. Do Poundland Offer Deliveries for UK Customers? Until March 2017, Poundland allowed customers to make purchases online for delivery or collection. However, the company has now changed its retail strategy, concentrating solely on in-store purchases. As the store doesn’t sell many bulky products, delivery generally isn’t an issue, although there may be a carry to car service if required. 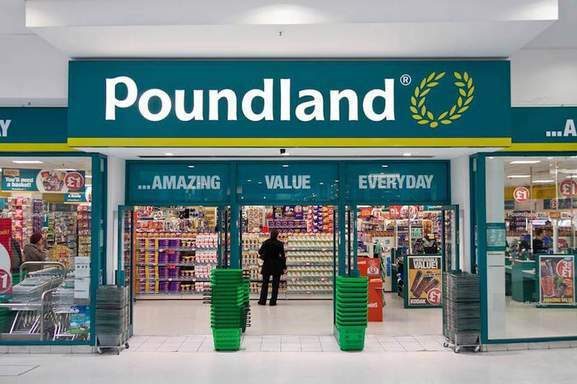 Poundland allows customers to return any items within 14 days of purchase. They need to be unopened, so be careful when you take your items home. If you find that they aren’t needed, refunds won’t be offered if the seal has been broken. There are also some items that Poundland won’t refund under any circumstances. These include swimwear, food, jewellery, soft drinks and underwear. Refunds will probably be issued if the products are damaged, but if you simply find that you don’t want them, you’ll be out of luck. To make a return, just take your items to a nearby Poundland store along with the receipt and/or the card used to make the purchase. It’s also a good idea to regularly check in at the Great Ideas section of the Poundland site. It contains exclusive content from the store’s celebrity partners like Tommy Walsh, Jane Asher and Charlie Dimmock, covering home and DIY, cooking, gardening and party organising. E-mail: An e-mail contact form can be found on their website. You can also find answers to most basic customer questions at the Poundland FAQ section. Whether you need to stage a memorable kids party, or you want to beautify your garden with some exotic bulbs, Poundland is the place to go for a big variety of items at amazing value. With a product range stretching from DIY tools to Star Wars toys, Poundland has something for everyone to enjoy, and with the Poundland savings available at HotUKDeals, you’ll be able to shop there for even less.